I hope everyone is enjoying the carefree, casual time of summer. It's super hot here in Florida right now so it's a great excuse to spend time by the beach. The beach is a favorite place of mine. So much so, that my most recent art series is based on my time at the sea. As a little girl from Kansas, I did not see the ocean until I was 12 years old. I remember the wonderment of seeing a palm tree for the very first time and smelling the salt in the ocean air. And then I saw the ocean. It was like nothing I ever saw before and more beautiful than the photos I had seen in magazines. I truly thought I had died and gone to heaven. It was the beginning of a long, obsessive love affair. In creating this beach-inspired collection of art, my hope was to create imagery reminiscent of the special moments at the seashore – the smell of the sea breeze with damp, cool sand between my toes, pretty little seashells, aqua blue water, pink sunsets, warm sun and white foam atop the ripples of waves flowing to the shore. 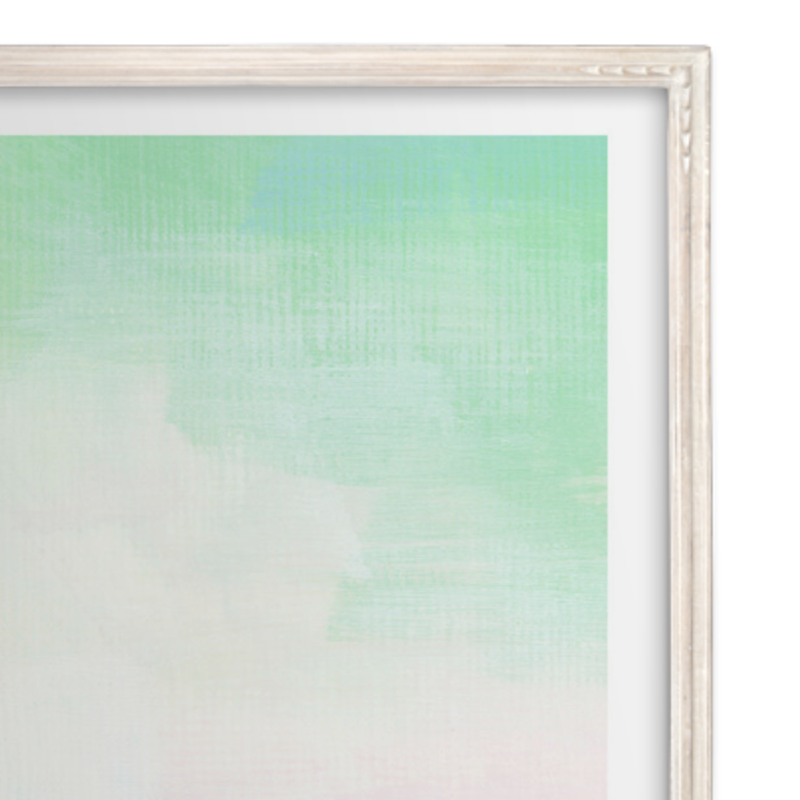 With beach-inspired colors, I created my art pieces using wide sweeping brush strokes, intuitively blending colors together to create a soft muted palette. My goal in creating this series of paintings was to create abstract color palettes reminiscent of the beach giving you the ability to bring these colors into your home in a minimalistic, artistic and expressive way. 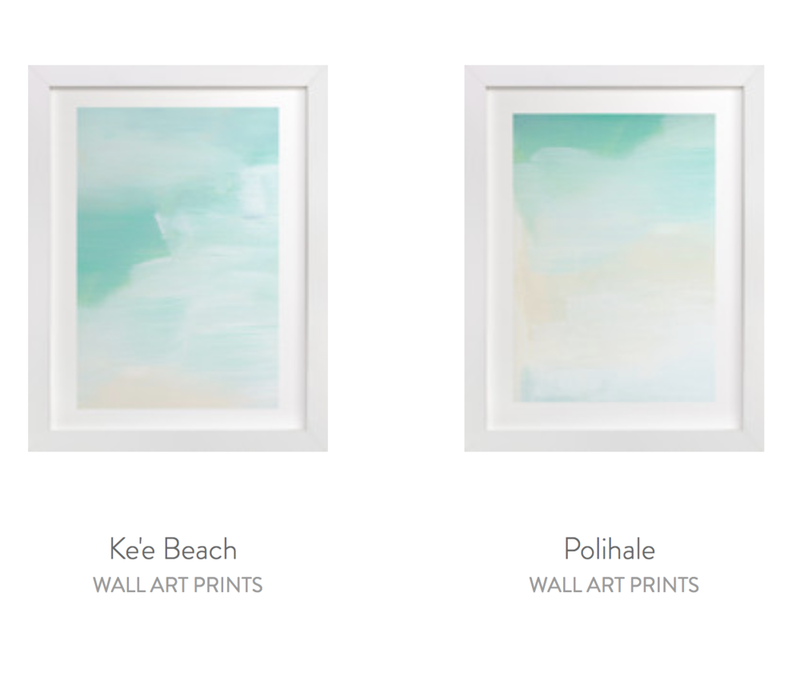 I designed some of the prints to pair together, such as Bermuda and Laguna; Seychelles and Harbour Island; and Ke'e Beach and Polihale. I had so much fun creating this series and sharing my love of the beach. It's always been a bit magical to me. Speaking of fun and magic! Tomorrow my class for 21 Secrets | Just Add Water will go live! I'm so excited to see what all the students create from my class! It's not too late to join in! All participants will receive a downloadable eBook containing all of the wonderful artists' lessons to keep and refer to for a lifetime! For those of you who want to keep your art-journaling practice fresh, fun, and totally do-able throughout the bustling Summer season, 21 SECRETS | The Great Outdoors, the second part of the Summer journaling class, will be up and running starting Monday, July 30th. There are so many amazing artists teaching this portion of the summer lessons -- I hope that you will join in the fun! My lesson for Just Add Water goes live tomorrow! I will lead you through my process in creating a sparkly galaxy effect using traditional watercolors along with the Finetec gold watercolor palette. Then we will pair this effect with the pointed pen to design a favorite quote. It could be a quote about stars, magic, the galaxy, unicorns --- or whatever magical, special quote you want to use!